Unite has backed today’s (Wednesday March 21) walkout of participants at the Mittings public inquiry into undercover policing. The walkout is a reaction to the refusal of Sir John Mittings, the judge leading the inquiry, to reveal the identities of the majority of police officers who were involved in undercover policing and who deceived women into relationships and infiltrated trade unions. In one infamous example of Judge Mitting’s attitude to the inquiry he remarked that he believed that the police officer with the code HN58 was very unlikely to have had any intimate relations with those he spied upon because he had been married for many years. The refusal to reveal the cover names means that there are potentially hundreds of other victims who still do not realise that they were duped into sexual relationships with undercover police officers. 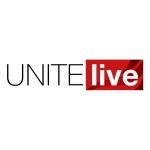 Unite has been granted core participant status in the inquiry, after it was revealed that police officer Mark Jenner, under the cover name Mark Cassidy infiltrated construction union Ucatt (now part of Unite) in the 1990s. Mark Jenner is one of the officers whose identity Judge Mittings is refusing to officially reveal. Unite assistant general secretary Gail Cartmail said, “Unite entirely endorses the walkout by the victims of undercover policing. The whole point of the public inquiry was to learn the truth into how the police for nearly 50 years infiltrated organisations and deceived women into sexual relationships. “The way Judge Mittings is operating is making a mockery of the process. If he is not prepared to ensure transparency he should immediately stand down and be replaced with a panel that is representative of society.